WELCOME TO LET’ER BUCK COUNTRY! 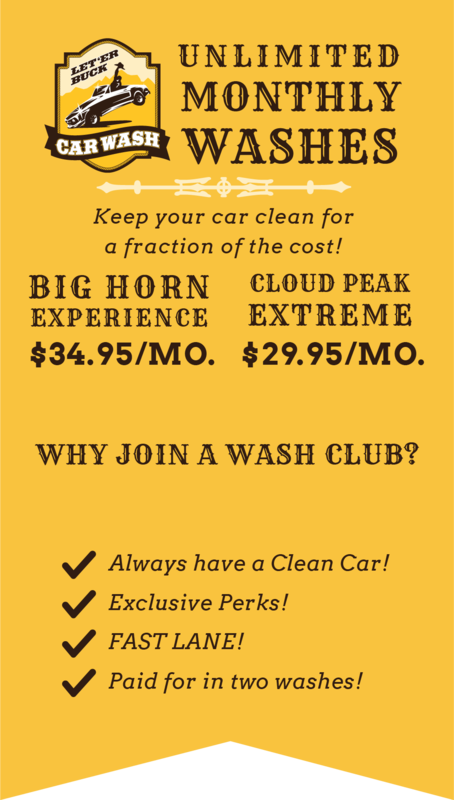 Let’Er Buck Car Wash was designed specifically with the folks of Wyoming in mind. Our “tunnel” conveyor car wash is capable of cleaning your car in four minutes or less—all year round. Our name was chosen to honor Wyoming’s western tradition, to pay homage to America’s #1 State: Wyoming, and the battle cry of UW’s Cowboy football team! We have numerous features to give our customers a top-notch experience while providing them a clean, shiny car in the process. We offer the world’s most powerful vacuum systems to each one of our car wash customers—utilizing a local US manufacturer found in Sheridan, Wyoming! Our customers have the choice to go straight into the “wash stack” lane to have their car washed, or to first visit our FREE vacuum bays, featuring powerful suction nozzles under well lit canopies—no more weak, low-power vacuums that drain you of your change! Choose from four wash packages as you enter our car wash lane and pay with your choice of credit/debit card, cash, unlimited wash club membership, or gift card. Once you enter the wash tunnel, a trained associate will assist you and your vehicle onto the conveyor.Then they will instruct you to place your car into neutral, take your hands from the wheel, and sit back and relax while our industry-leading equipment does all the work! The car wash experience at Let’Er Buck allows for operation in almost any weather. Over 7,000 square feet of concrete is heated at both the entrance and exit of the wash. The loading area is located inside the wash to assist with inclement and freezing weather, while the tunnel and vacuum areas are well lit so our customers feel safe and comfortable while on site. In addition, we felt Let’Er Buck needed to incorporate the most robust technologies for conservation. As a result, Let ‘Er Buck utilizes variable frequency drive motors or VFD to conserve energy as well as recycling and purifying the water used to wash cars. It was not only the smart thing to do but the right thing to do. We invite you to come and enjoy the car wash experience. 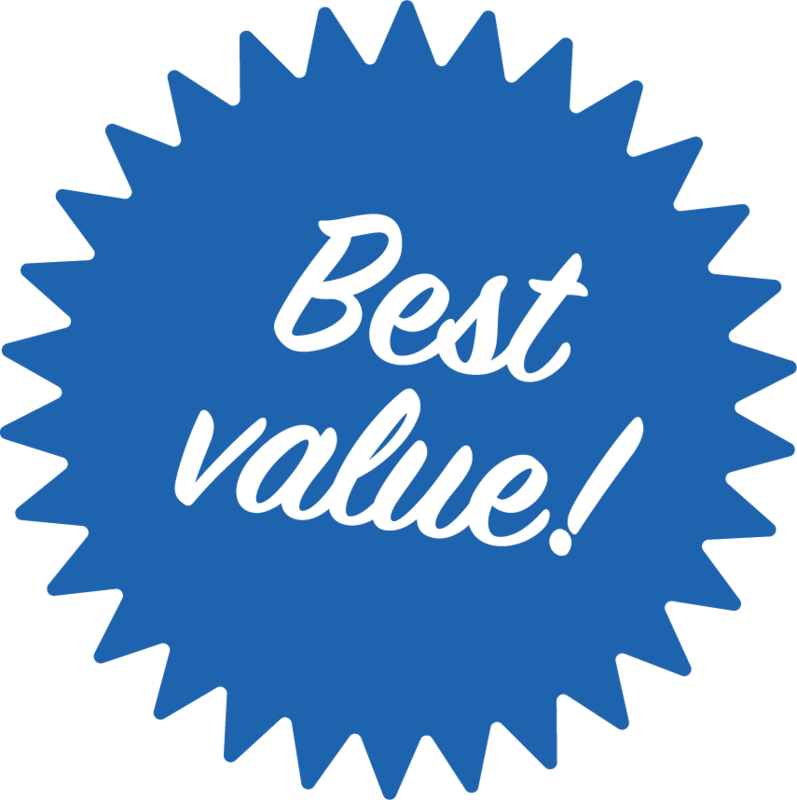 We save energy and water, we’re fast, friendly and give you a clean, shiny ride to boot!